An employment boom in the Bakken oil fields has led to a housing shortage, resulting in an increase in the number of people bringing RVs with them. If you are moving here soon, you should know that some RV parks in Tioga, ND have more amenities than others do. Tioga RV & Trailer Park is one such park, but like many others, spaces here are renting quickly. Tioga RV & Trailer Park is wired for high-speed fiber optic Internet service and satellite television is available from a local provider. Not all RV parks in Tioga, ND have these options, which is another reason why spaces at Tioga RV Park are in high demand. Fiber optic Internet is both fast and reliable, which makes it easy to stay in touch with your friends and family. To see what’s included with our RV spaces, click here. And, after a long day in the oil fields, you’ll be ready to relax and unwind. Imagine yourself coming home to your comfortable RV and firing up your computer to check email or keep up with friends on social media. Once you’re done, you can kick back in a comfortable chair and watch your favorite program or even enjoy a movie. If you’re a sports fan, you’ll appreciate the fact that watching the game and keeping up with your favorite teams won’t be something you’ll have to forget about. A number of people who come to the area to work like to have the option of pursuing online higher education programs – using their high-paying oilfield job as a stepping stone to a new career. High speed Internet service makes it easier to pursue your degree, despite being in a somewhat remote location. Having high speed Internet and satellite television service can be especially important if you are coming here alone and plan to leave loved ones behind. There is a big difference between talking on the phone versus seeing each other on video. If you don’t have an RV, you can still take advantage of all the amenities that are available. This is one of the few RV parks in Tioga, ND that also has mobile homes for rent. Our mobile homes for rent are new-model manufactured homes, featuring four bedrooms, two bathrooms, a full kitchen, and a washer and dryer. The same Internet and satellite television service can still be enjoyed in our mobile home rentals through local service providers. The location of the park also makes it attractive. You’ll be close to everything, including banking, shopping, schools and restaurants. The oil fields are also nearby, so getting to and from work won’t be a hassle either. If all this sounds good to you, the best advice we can give you is to act right away to secure your spot. RV parks in Tioga, ND are filling up fast, particularly when they offer top-notch amenities such as these. Wait too long, and you could find yourself having to settle for substandard housing elsewhere. Contact us today at 701-641-6244 to make your reservation. Housing is one of the biggest challenges for workers coming to work in the blocking oilfields and some employers offer a solution in the form of a single room in something known as a “man camp” in Western North Dakota. However, many of the workers who choose to live in the man camps discover that this easy solution is not necessarily the best solution for them. While many camps do offer attractive benefits, like a community kitchen and chefs to prepare the food, there are downsides to living in one of these camps. Man camps have strict regulations on what is allowed and not allowed inside of the camp. If you have children, you might be surprised to find the children are not allowed inside of the man camp’s. This may not seem like a problem if your family is staying back home, but what are you going to do when your family comes to visit you? Alcohol is strictly prohibited in man camps. Obviously, this rule is designed to prevent problems, and we also have rules in place regarding noise and disturbances, but what if you just want to relax and have a drink after work. You essentially have no choice except to go to a local bar, but then you have to worry about getting home safely and staying within the rule of law. By comparison, if you are staying in your own manufactured home, then you can relax and enjoy a beverage at home. You also have to deal with being surrounded by other people. It’s essentially like living in an army barracks instead of living in an apartment or your own home. By comparison, if you can find a mobile home for rent, then you’re essentially living in your own home. One of the benefits of living in a mobile home is that you don’t have shared walls like you have been a man camp or an apartment. This usually translates into you being able to get a better nights sleep. The challenge of course is finding a mobile home for rent in any of the towns in Western North Dakota. The Bakken oil boom has created a huge shortage in housing. To help with this housing problem, we have purchased 11 new model manufactured homes. Each home features four bedrooms and two bathrooms, a full kitchen, and the washer and dryer so you don’t have to go to the laundromat and waste your time washing your clothes. We also have all the amenities of home. You’ll have the option of adding high-speed Internet and satellite TV to your monthly rental (available from local providers). All of this just means that you’ll be able to come home after hard days work, relax, grab your favorite beverage and either connect with friends and family over the Internet or catch one of your favorite games or shows, and then get a good nights sleep. Availability is extremely limited so we encourage you to call us at (701)641-6244 or contact us as soon as you know you’re going to be coming to the area. With so many awesome jobs available in the Tioga, North Dakota area thanks to the Bakken oil field boom, you’re probably wondering how tight the housing market is. Well, the answer to that is tight – very tight. Houses and apartments are at a premium and even mobile homes are hard to find. However, if you own an RV and are looking for RV spaces in Tioga, ND, you’re in luck. A great recreational vehicle is the perfect solution for that home away from home. With all the conveniences of modern appliance, comfortable bedrooms, bathrooms and even plenty of space for a small family, an RV makes for a perfect, short term housing solution that anyone can be comfortable in. All you have to do is find RV spaces in Tioga, ND and you’re all set. Why spend hours driving to find shopping, grocery stores and access to everything you need when you can live close enough to walk to everywhere you want to go? Why live miles away from job sites when you can live close enough to Williston to walk? Why do without all the comforts of home when you can live in your own RV and have satellite TV and high speed fiber optic internet service? Although RV spaces in Tioga, ND, can be hard to find, at Tioga RV and Trailer Park, we recently built 90 new spaces so you don’t have to sacrifice anything to live the way you want to live. Keep in mind that the oil boom isn’t going away anytime soon and more people are coming into the area every day. Whether you’re planning to work in the oil field or whether you’re coming here for other reasons, call (701) 641-6244 today to reserve your space before it’s gone. When he built our Tioga RV park, we put in 90 RV spaces to create more housing options due to the oil boom in the area. Not surprisingly, we leased up our spaces very quickly and we are now to point where we highly encourage people to contact us to make a reservation so that we can hold the space for them before they arrive. One of the main things that separates our RV park from other RV parks in the area is our park is that our RV spaces are wired for high-speed fiber-optic Internet. We know that a lot of people are coming to the area to work, and that they want to stay connected to their friends and family back home. With high-speed Internet service, we know that many of our guests will have the ability to use Skype or Facebook to stay in touch with the people that are important to them. To see what’s currently included, visit our RV spaces for rent page. We also have 50 amp service to each of our RV spaces so that our guests can run all of the appliances in their homes. When we were building the park, we heard a lot of complaints about the amount of mud that people were dealing with at other parks, and that’s one of the reasons why we brought in a large amount of gravel for each space. Our central location in Tioga North Dakota, makes living here a great option because our guests are within walking distance to any of the shops and stores in the town and within driving distance to many of the work sites in the area. We also started a corporate housing solution program to help local employers solve the housing problem that they’re incoming employees face. This is proved to be a very popular program. Employers are able to essentially promise their incoming workers a place to live before they even arrive. We also realized that a lot of people that are coming to the area to work don’t have recreational vehicles, So we also purchased 11 new model manufactured homes and partially furnished them to make it extremely easy to arrive in the area, move-in, and go to work. This is proved to be a popular option for employers, room-mates, and families. Obviously, with a strong demand for housing in the area, one of the best things you can do if you are headed to Tioga is to contact us and make a reservation before you arrive. While we always welcome walk-ins, we can’t guarantee a space in less you give us a call at 701-641-6244. Due to new drilling techniques, a new oil boom has ushered in a huge influx of jobs, especially in the North Dakota area with the Bakken formation oil fields. While this is a massive boost to the country’s economy and has created a lot of opportunities for those seeking jobs, it has created a housing crunch in and around Tioga, ND. Homes for rent are impossible to find, apartments are impossible to find and other Bakken oilfield housing solutions are hard to find as well. However, they’re not impossible to find at all. Even if you can find a home or an apartment for rent in the Tioga area, you’ll find those solutions are bereft with problems. Home rentals are incredibly expensive and, if you’ve ever lived in an apartment, you’re well aware of how disruptive noisy neighbors, poor parking options and other apartment frustrations can be. There are definitely more comfortable, more affordable Bakken oilfield housing solutions available. Tioga RV and Trailer Park has a solution for you, if you’re tired of being frustrated with the “obvious” solutions. If you own or have access to an RV, They have lots of new slots ready for you to pull into and make yourself at home. They also have mobile home solutions for you and your family as well. Here are just a few things you can look forward to when you come to Tioga RV and Trailer Park. Bakken oilfield housing is incredibly tight because of the huge influx of jobs and people. That means you’ll need to contact us at (701) 641-6244 as soon as possible to reserve a RV slot or a mobile home. Spaces for RVs is limited and mobile homes are filling quickly which means your window of opportunity to create a home for yourself is limited as well. There may be plenty of jobs, but there aren’t plenty of housing options. If you’re looking for Bakken oilfield housing solutions that are comfortable and that you can afford, call us today. North Dakota is now the second largest oil producing state in the United States thanks to the use horizontal drilling and hydraulic fracturing in the shale Bakken formation. Foreign oil producers, like Saudi Arabia, have felt the impact created by the surge in U.S. oil output. U.S. oil production is up 70% since 2008, which equates to about 3.5 million barrels per day. According to the U.S. Energy Information Administration, North Dakota and Texas now account for nearly half of U.S. crude oil production. Natural gas production is also on the rise as a result drilling in the Bakken and natural gas production has outpaced the state’s gas pipeline capacity and processing facilities. Hess Corporation recently completed an expansion project at it’s Tioga, ND gas plant with output predicted to increase by up to 300% according to the Oil and Gas Journal. Hess is one of the leading operators in North Dakota with significant operations in the Tioga area. 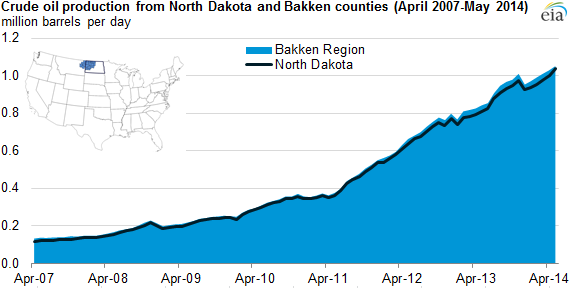 This increase production has led to a booming economy in Western North Dakota. Hotels are full and restaurants are packed with roughnecks and people who have moved into the region due to jobs created as a result of the boom. People are pouring into the area to find high-paying jobs, but housing hasn’t kept up with demand. Employers in the region are struggling to find employees and many won’t make a hiring decision until a candidate has found housing due to concerns that candidates may have to leave the area if they can’t find suitable housing. Tioga RV & Trailer Park has been working with a number of local employers to help solve their employee housing challenges. At Tioga RV and Trailer park, we have RV spaces and mobile homes for rent as well as corporate housing solutions. Contact us today at (701)641-6244. The huge influx of oil field workers heading to the towns of Williston and Tioga, ND, And put a huge strain on housing. Basically, the supply of affordable housing has not been able to keep up with the demand. The price of renting a house or apartment have skyrocketed beyond the prices seen in New York and California. Many workers to come to the area end up sleeping in their vehicles as they search for housing. We recently purchased 11 new model manufactured homes that feature four bedrooms and two bathrooms, And these units are now available for rent in our mobile home park and Tioga, North Dakota. Our mobile homes are partially furnished so you won’t have to bring furniture with you. What many people don’t realize before they arrive in the area is that housing is not the only thing that’s been strained by the huge growth in population. Restaurants have also been completely overloaded and it’s not uncommon to wait for an hour more to be seated. Even fast food restaurants have huge lines and long wait times. When you rent one of our mobile homes, you’ll enjoy a full kitchen which means you can prepare a snack or home-cooked meals whenever you want and you’ll save hours of time you would normally spend waiting in line. And, with the ability to add high-speed Internet and satellite television to your monthly rental, you’ll be able to enjoy your meal while you catch a big game or watch one of your favorite shows. Each of our homes also includes a washer and dryer, so you’ll be able to wash your clothes while you relax instead of having to waste your time going back-and-forth to the laundromat where you would have to wait in line for your turn wash your clothes. As you can see, there are many hidden benefits to renting a mobile home. Not only will you enjoy a higher quality of life, you’ll also save a tremendous amount of time. And chances are, you’ll also get a better nights sleep because mobile homes don’t have shared walls like apartments or man camps. Naturally, the demand for mobile homes in Western North Dakota is very high. We cruise you to call us at your earliest convenience to check availability and to make a reservation if you know you’re coming to the area. Call us at 701-641-6244 to reserve your home while it’s still available. Like so many who have come to the Tioga / Williston area to work in the oil fields, finding a comfortable place to call home is always a top priority. If you are looking into mobile homes for rent in the Tioga and Williston, ND, area, Tioga RV & Trailer Park offers some of the best quality 16 x 80 foot homes available in the area. If you’d like to learn more, take a few moments to review what makes these mobile homes so attractive to visiting oil workers and locals alike. Our partially furnished homes come with a full kitchen, washer and dryer so you can enjoy all the comforts of home. Instead of having to worry about moving every piece of furniture you own, you can enjoy relaxing in your new home the moment you arrive. These mobile homes for rent in Tioga, which is close to Williston, ND, will certainly exceed your expectations, offering 1,280 square feet of spacious comfort. The mobile homes available at Tioga RV & Trailer Park include 4 bedrooms and 2 baths so you’ll enjoy plenty of room (instead of being crammed into a small hotel room or “man camp” room). Friends and family will love your new home as well. Are you looking for a top notch place to stay while you work in the oil fields? Tioga RV & Trailer Park provides tenants with the highest quality mobile homes for rent in the Tioga and Williston, ND, area. Even if your time spent in the area will be temporary there’s no reason to accept second-rate living accommodations. If you need a place to live for a few months or even years at a time, you won’t find mobile homes quite like those offered at Tioga RV & Trailer Park because our homes are new-model manufactured homes. High-speed fiber optic cable Internet and satellite television are both available for a minimal monthly charge. Additional amenities include washing machines, dryers and full-kitchens. You’ll be able to park close to your front door, which makes it easy to bring in the groceries. These mobile homes for rent in Tioga and Williston, ND will make you and your loved ones feel right at home. The prime location of Tioga RV & Trailer Park makes their mobile homes for rent in Tioga and Williston, ND especially attractive. Nearby restaurants include Lonestar BBQ, Sportsman Cafe & Steakhouse, Wildcatz Grill and Lil’s Diner, all located just down a short drive down the main street. For those who have little ones, Tioga’s Central Elementary School and the Tioga Public School are also just a few blocks away. And, in case of emergencies, the Tioga Medical Center and clinic is conveniently located nearby as well. For groceries, visit Food Pride located just Main Street North. These homes are going fast, so don’t hesitate to contact a friendly associate right now to reserve your mobile home before it’s too late! To learn more about our wonderful mobile homes for rent in Tioga, ND, visit us at 217 5th St. SE or call us at (702) 641-6244 now. Move into some of the most luxurious mobile homes available in the area and secure a relaxing place you’ll be proud to call home after you come home from a long day of work. You deserve it! If you’re moving to western North Dakota, it’s become a necessity to find housing before you arrive. This video really demonstrates the difficulty of finding apartments, mobile homes for rents, and RV spaces in the area due to the oilfield boom which is brought in an avalanche of workers. If you’ve watch very many videos on YouTube about housing in the area, you’ve probably already discovered that many people arrive and end up sleeping in their vehicles while the search for a place to live. This can be dangerous and many of the local cities municipalities are passing ordinances to prevent people from doing this within city limits. If you’re going to be moving to the Tioga or Williston, North Dakota area, we highly encourage you to give us a call now at (701) 641-6244 to check availability. We have a number of new model mobile homes for rent that are partially furnished. Click here to find out more. If you were traveling in an RV, we have a number of RV spaces with 50 amp electrical service and full hookups. Click here to find out about our RV spaces. Looking for an RV Space Near the Bakken Oil Field? Are you looking for an RV space near the Bakken Oil Field? If you plan on moving to western North Dakota to find an one of the job, then you may want to watch this video before you arrive. Housing is very difficult to find do to the huge influx of oilfield workers. Many people that arrive or unable to find a place to live and end up trying to sleep in their vehicles (which many cities have made illegal) or in local community centers. And what you may not realize is that many employers in the area all the one to interview candidates who have already found a place to live out of a fear that they may lose a good employee who simply can’t find housing. We have RV spaces with full hookups and 50 AMP electrical service so you can run all of your appliances. And, if you don’t have an RV, we have new-model manufactured homes for rent. But, availability is very limited, so we highly encourage you to be proactive and call us before driving to the area.